Despite the many, many pages in the Health Insurance Portability and Accountability Act (HIPAA) relating to the security of protected health information, it is not difficult to achieve HIPAA compliant texting for your hospital. All that is needed is a secure text messaging platform from TigerConnect and a system administrator to monitor usage of the text messaging platform. This article describes the easy path to HIPAA compliant text messaging, explains how TigerConnect’s secure text messaging platform conforms to the administrative, technical and physical requirements of the HIPAA security rule, and lists some of the benefits of implementing and using HIPAA compliant text messaging. 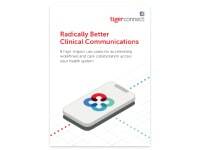 TigerConnect helps keep text messaging HIPAA compliant by allowing access through a secure platform to encrypted protected health information accessed through an encrypted and secure communication platform, built for only authorized users. 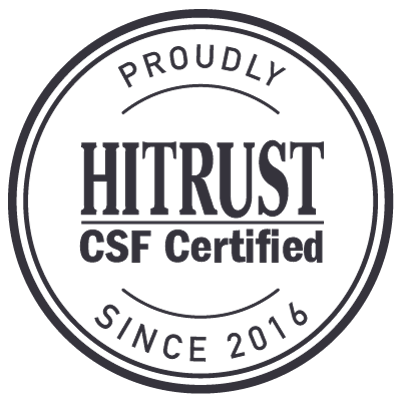 The secure platform has administrative controls to protect the integrity of sensitive patient data, and any authorized user wishing to access or communicate protected health information has to authenticate their ID with a unique username and PIN number. Authorized users gain access to the secure messaging platform via an end-user friendly application, which can be downloaded onto any mobile device or accessed via the web on any desktop computer. The app has an SMS-like interface, allowing all users to easily integrate HIPAA compliant text messaging. Text messages are configured to travel only within a defined private network, and message recipients must also authenticate their identity before being able to read the message, reply to it or access any information attached to the message. Delivery notifications and read receipts ensure that messages are delivered to the correct recipient, and users can retract text messages, delete communications or remotely wipe a user from the network if a potential breach of protected health information is identified. TigerConnect’s secure messaging platform adheres to the administrative requirements for HIPAA compliant text messaging by providing access reports and audit logs so that administrators can monitor usage of the platform and ensure that all text messaging is HIPAA compliant. TigerText’s secure messaging app is accessible where there is a 3G or Wi-Fi connection and, because nobody outside the private network can access messages, anything transmitted over an open cell phone network or in an area of public Wi-Fi cannot be compromised or intercepted by unauthorized users. Consequently, medical professionals can send and receive protected health information “on the go” with secure messaging, access sensitive patient information including x-rays, lab results and patient updates with secure texting, collaborate on a patient´s healthcare, diagnose their illnesses and arrange for appropriate treatment to be administered. In scenarios such as when physician consults are requested with secure texting, the sender of the message can see whether the message has been received and read due to the automatic notifications; and this considerably reduces the amount of time that doctors and nurse spend playing phone tag – allowing them to use their time to attend to more patients and provide a higher standard of patient healthcare. One recent study conducted by the Ponemon Research Institute reveals that when patient discharges are conducted by secure messaging, patient wait times are reduced by up to 50% and the savings to healthcare facilities in terms of the additional time available to medical professionals was equivalent to $557,253 per year, per healthcare facility. In addition, there are significant benefits of HIPAA compliant messaging for a hospital outside of the hospital environment. Emergency personnel can accelerate admissions with secure texting and home healthcare workers can escalate patient concerns with secure texting to allow them to spend more time in the field with their patients and less time running back and forth to seek medical advice. On call and telemedicine doctors can receive protected health information on their way to attend to patients, and the features on TigerConnect’s secure messaging platform allow authorized users that are attached to more than one medical facility to receive all their secure messages in one convenient inbox, in order that they can prioritize their workflows to provide healthcare where it is needed most urgently. HIPAA compliant text messaging can also be used to forward prescription orders to pharmacies – eliminating the need for patients to wait while their orders are being confirmed. Indeed, according to one of our case studies, the Carvajal Pharmacy estimated that they achieved time savings of 50% on filling prescriptions after TigerConnect’s secure messaging platform was implemented in their San Antonio premises to comply with HIPAA regulations. 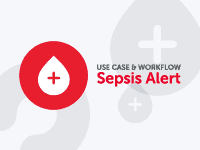 In most medical facilities, the need to implement a secure messaging solution to conduct HIPAA compliant texting in hospitals is obvious, but how do you go about selecting the solution which is most appropriate for your specific requirements. No two secure messaging solutions are identical, and for this reason we have compiled “The Top Ten Considerations when Selecting a Secure Text Messaging Solution” to assist healthcare organizations select a secure messaging solution. Our white paper covers topics such as complying with the administrative, technical and physical requirements of the HIPAA Security Rule and offers advice on how vendors of secure messaging solutions should be evaluated. Possibly one of the most important considerations is the vendor´s “Technology Vision” so that when working practices change, new technology is introduced or further legislation is enacted, you will still be able to conduct HIPAA compliant texting in your hospital. 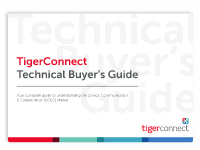 TigerConnect is the leading provider of secure messaging solutions and is used in more than 4,000 medical facilities to help keep text messaging HIPAA compliant. More than 150 million secure messages are processed through our servers each month, helping to streamline workflows, enhance productivity and raise the standard of patient healthcare. If you have any questions about HIPAA compliant texting in your hospital, or would like to arrange a free demo of TigerConnect in action, you are welcome to contact us and discuss how TigerConnect’s secure messaging platform can facilitate HIPAA compliant text messaging in your specific situation. Discover three ways secure messaging streamlines care delivery for physicians.